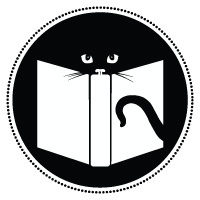 Books, cats and murder mysteries: three things that I love, all wrapped up into one. The Cat Who Could Read Backwards by Lilian Jackson Braun was practically written for me! Other than the fact that it was written back in 1966 of course, a bit before my time. I had never heard of this particular series before (probably because of its age), but when I picked up the book at the Calgary Reads book sale, I realized that this bestselling series was meant for me. This series is from a favourite genre of mine, called ‘the cozy mystery’. Nothing is too gruesome in this story, and an intelligent Siamese cat named ‘Koko” is helping a journalist solve the mystery, so there’s a sense of lightness that is woven throughout. Something that I found funny, that certainly wasn’t meant to be at the time of the book’s release 50 odd years ago, are all the aspects of the 60s that we no longer think of, or take for granted in 2014. For instance, when the protagonist Qwuilleran is interviewing a welder in her studio she brushes off a pile of asbestos on a bench so they can sit down together. Asbestos????? Yikes. Or the time when a group of men are eating at a restaurant and one of them makes sure to compliment the waitress on the narrowness of her waist, as if he is being a gentleman by mentioning this to her, and it would be rude not to. My favourite was probably the time when one man borrowed another man’s plane ticket to hop on the flight-didn’t matter that he had a different name and bore no resemblance to the person whose name was on the ticket! Could you imagine? These things made me laugh out loud, similar to the way Mad Men makes a point of showing the ridiculousness of things in the 50s compared to today. The clip below is a perfect example of this. It’s a short book, and when I picked it up, it was obvious that it was a well-loved paperback, the pages yellowed and curled at the edges. In fact, this book is one I’m considering keeping for my collection, simply because I fancy the idea of acquiring each book in the series. I can already tell I’ll like them all, and like my delight at discovering a new television series on Netflix, I’m already itching to read the next one. AHAHAHA absolutely love that video. Made me day! I know right? I laughed out loud when I watched that scene on t.v.